In recent years, the social sciences have taken a ‘mobilities turn’. There has been a developing realisation that mobilities do not ‘just happen’. Mobilities are carefully and meticulously designed, planned and staged (from above). However, they are equally importantly acted out, performed and lived as people are ‘staging themselves’ (from below). Staging mobilities is a dynamic process between ‘being staged’ (for example, being stopped at traffic lights) and the ‘mobile staging’ of interacting individuals (negotiating a passage on the pavement). Staging Mobilities is about the fact that mobility is more than movement between point A and B. It explores how the movement of people, goods, information, and signs influences human understandings of self, other and the built environment. 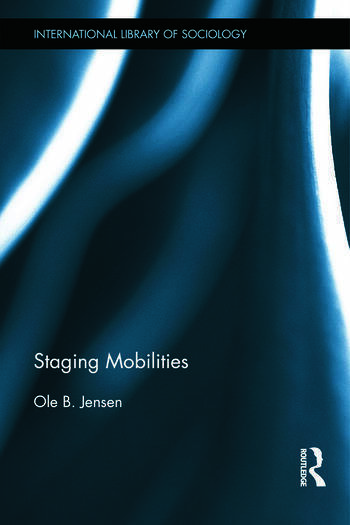 Moving towards a new understanding of the relationship between movement, interaction and environments, the book asks: what are the physical, social, technical, and cultural conditions to the staging of contemporary urban mobilities? Jensen argues that we need to understand the contemporary city as an assemblage of circulating people, goods, information and signs in relational networks creating the ‘meaning of movement’. The book will be of interest to students and scholars of sociology, urban studies, mobility studies, architecture and cultural studies. Ole B. Jensen is Professor of Urban Theory at Aalborg University, Denmark. His main research interests are mobilities and urban studies. He is the co-author of Making European Space (with Tim Richardson, Routledge) and has published extensively on mobility research in the journals Mobilities, Culture and Space, and Urban Studies.